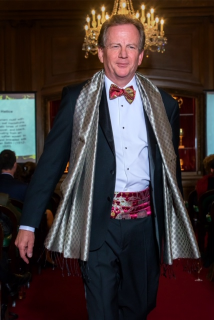 If you missed Court Assistant Michael Larsen’s first modeling gig, his smiling picture tells only part of the story of this fund-raiser for Anti-Slavery International (ASI). The Mercers, themselves once traders in silk and satin, with involvement in both the slave trade and the anti-slavery movement, generously donated their hall and their helpful staff. 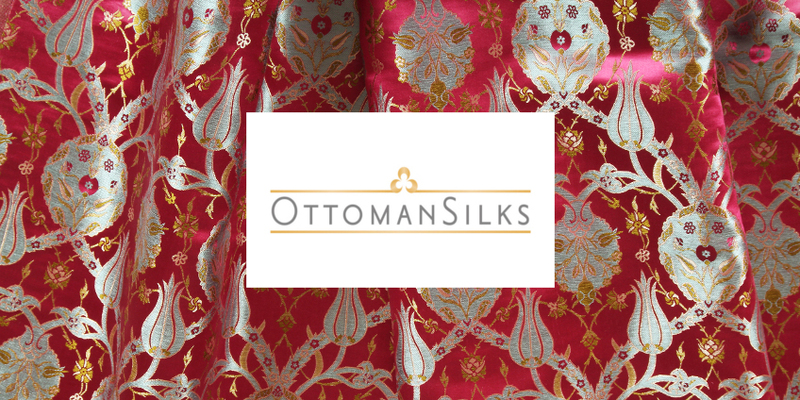 Ros Pollock, founder and CEO of Ottoman Silks, donated her time and that of her colleagues to preparing a talk and a slide show about the origins of the silk trade into Europe, as well as a fashion show of the beautiful clothes in the Ottoman Silks collection. Everyone present donated to the work of ASI too, through their ticket purchase and by buying items of clothing, The charity is probably the world’s oldest NGO but one with, sadly, a very modern agenda. World Traders tend to see trade as a force for good. Yet it has always had its seamier side. Modern slavery is a particularly grim manifestation of that. There are still millions of people world-wide, and thousands in the UK too, caught up in various forms of modern slavery, including forced and bonded labour, forced marriage, child slavery and even in some parts of the world slavery by descent, where whole families remain the property of the slave owner through generations. Modern slavery can affect people of all ages, genders and races. That is why Edwina Moreton made this fund-raiser in support of the work of Anti-Slavery International the first event of her Master’s year. You can find further information about the problems they tackle at www.antislavery.org.